My friend cosplayer Lauren Clover came over to help me try out a couple of backdrops I got from Denny Manufacturing. 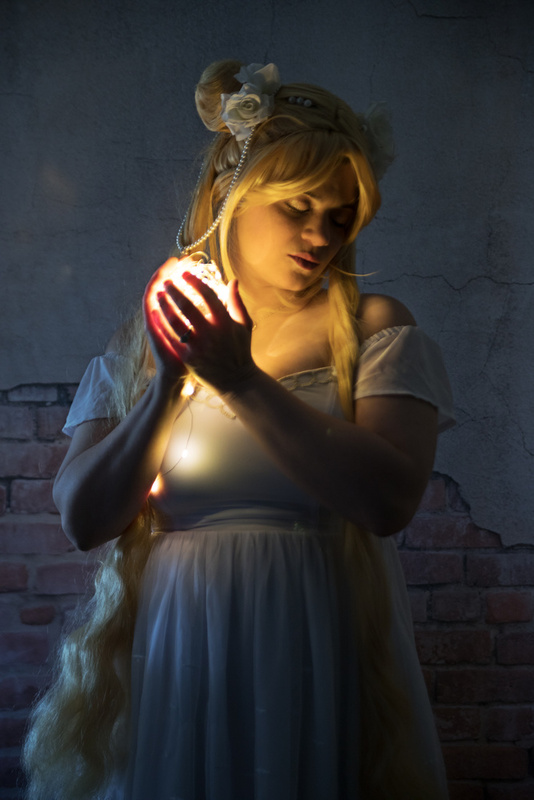 She wore this Sailor Moon gown and I put her in front of the Alley Brick back drop and had her hold fairy lights that were bunched up in her hands. Since I wanted most of the light to come from the lights in her hand I only had a low powered flash to fill in on the right side of her.